Before we went to Puerto Rico, a Puerto Rican friend gave us a list of things to eat. We have heard very good things about Puerto Rican food, so we made a pledge to try out everything on that list. We almost did it (just missing Sancocho and Serenata de Bacalao) and on this list we have some of our favorites! 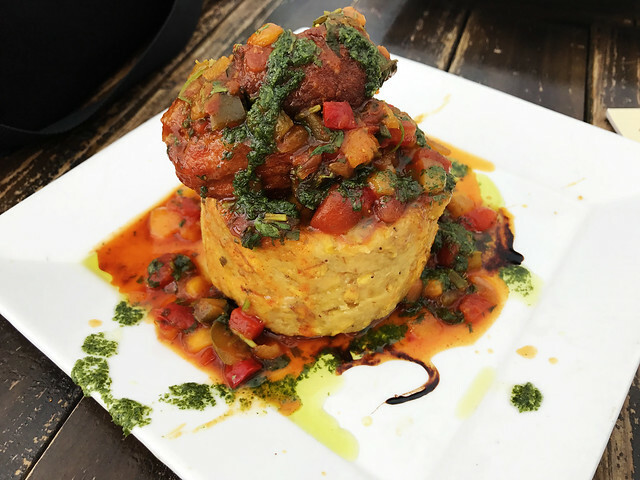 Every person we asked for food recommendations in Puerto Rico said “Mofongo!” so we figured we had to try it out, even though we are not very fond of plantains. When we did, however, we could not stop eating. The plantain base was full of flavors, with bits of pork cracklings or a whole pernil (pork shoulder) to add some crunchiness. 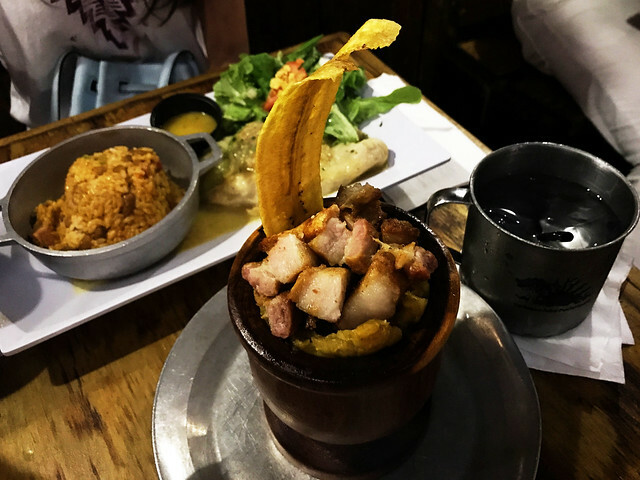 Once, we ate mofongo out of a pilon, a wooden mortar traditionally used to cook mofongo. A port city in the Caribbean, San Juan has access to a lot of delicious seafood. With some sauces and rice, they make very fulfilling and tasty dishes. 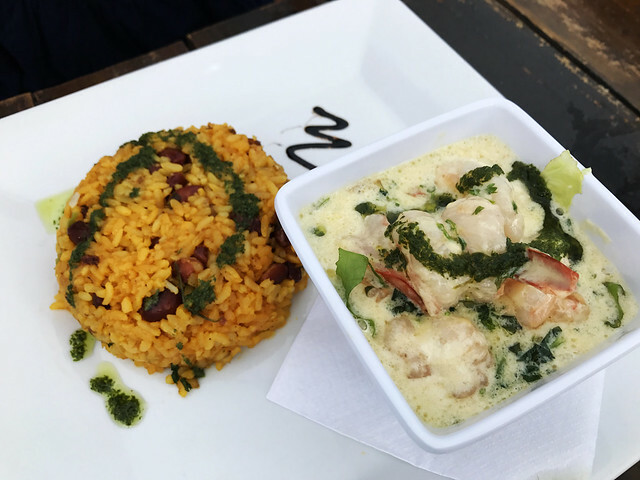 Our all-time favorite food in Puerto Rico has to be this plate of butter-shrimp rice we had at a rooftop bar/restaurant. The rice were infused with spices and peas; the garlic sauce and vegetable paste added a dash of richness with every bite. This dish consists of pigeon, rice and peas. 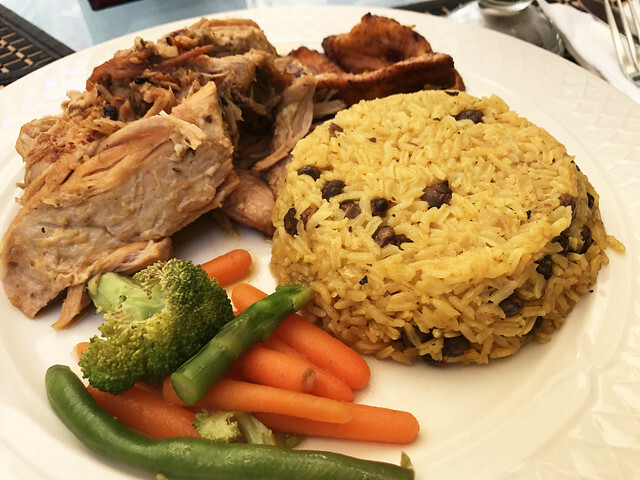 One of our favorites, we enjoyed arroz con gandules multiple times during our visit. The fragrant aromas made our stomachs rumble even before the plates arrived. We came across a really cute bakery in Old San Juan called La Bombonera. The mallorca we had were so delicious, we decided to go back the next day to enjoy the dessert sitting down. 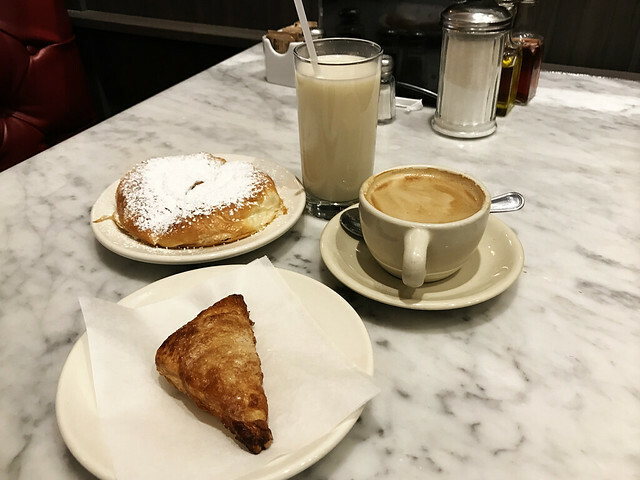 We ordered mallorca again (it’s some kind of sweet bread dough rolled into a Princess-Leia-type-bun and dusted in powdered sugar), guava pastry, horchata de chufa and coffee. You will see carts selling piraguas all over the streets of Old San Juan. Curious by its widespread existence (and the little kids who enjoyed it so much in the summer heat), we decided to give it a try. It was a little too sweet for us but it did help cool us down…plus, they look quite pretty in pictures with their colorful hues. 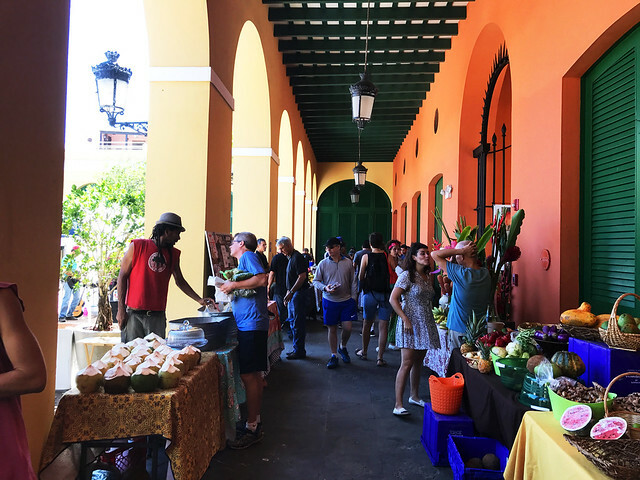 Visit the traditional markets in Old San Juan and La Placita de Santurce in Condado Beach to grab some good food (La Placita de Santurce may be a market by day, but by night it is a popular place to hang out with cheap drinks, live music and tons of people out to have a good time). 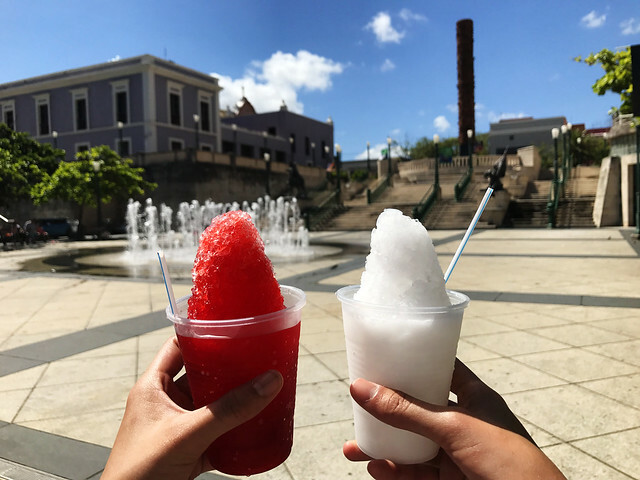 If you find yourselves wondering where to go in Old San Juan, remember that Barrachina is the birthplace of the piña colada. 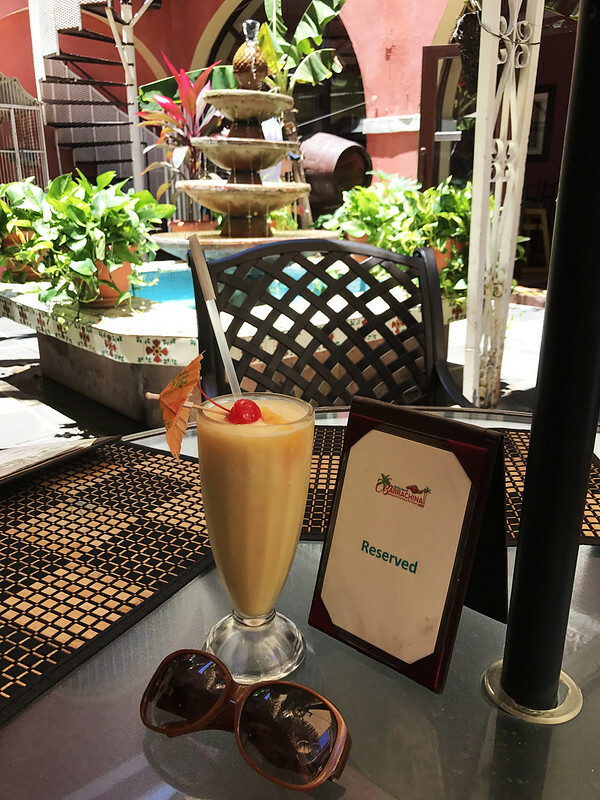 Take a sip of the original recipe (and it was good) and enjoy traditional Puerto Rican food under the pink walls and tropical foliage of the restaurant. 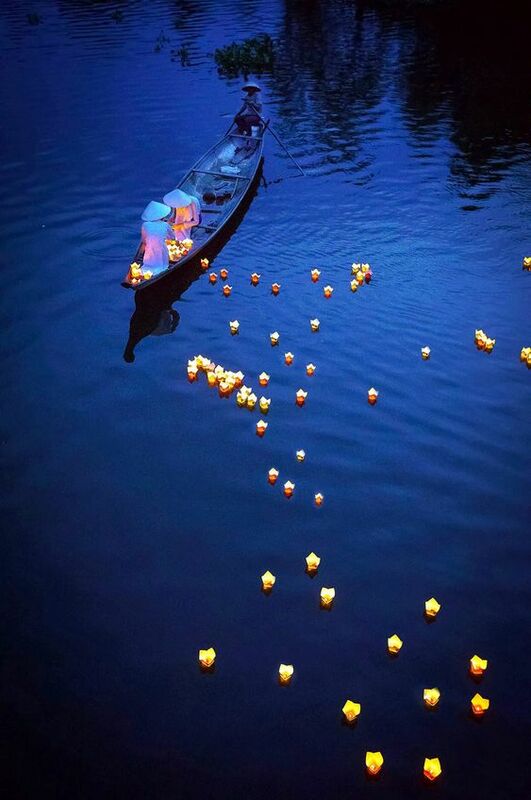 Since it is such a popular place, remember to book a table beforehand. We didn’t, and had to wait an hour at a Lladro store next door (where we met a lovely woman who told us all about Puerto Rico’s coqui frogs). Our friend also mentioned the Casa Bacardi tour, which offers free drinks and an inside look at the factory. Sadly, we did not have time to check it out. Let us know if you have been there! We would love to hear about your experience. 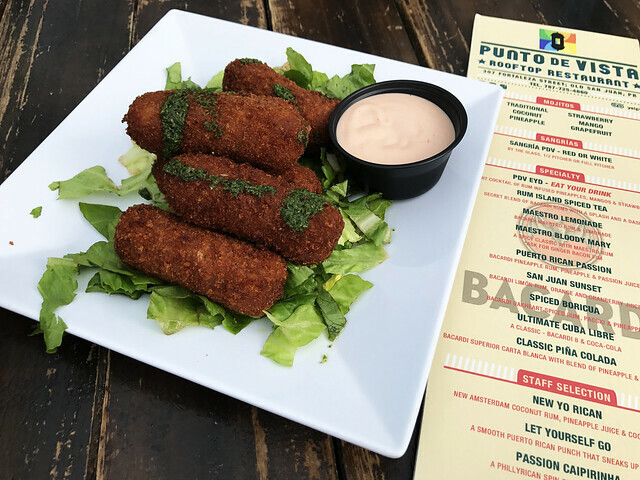 This entry was posted in Food and tagged culture, food, mofongo, mofongo puerto rico, mypassengerdiaries, on budget travel, personal experience, photography, puerto rican food, puerto rico, puerto rico food, review, seafood, student travel, traveling, what to eat in puerto rico. Bookmark the permalink. Hello! Everything looks so delicious! I want to taste all. Have an excellent week.